In the hierarchy of frozen desserts, frozen yogurt "popsicles" rarely make it into my top 10. 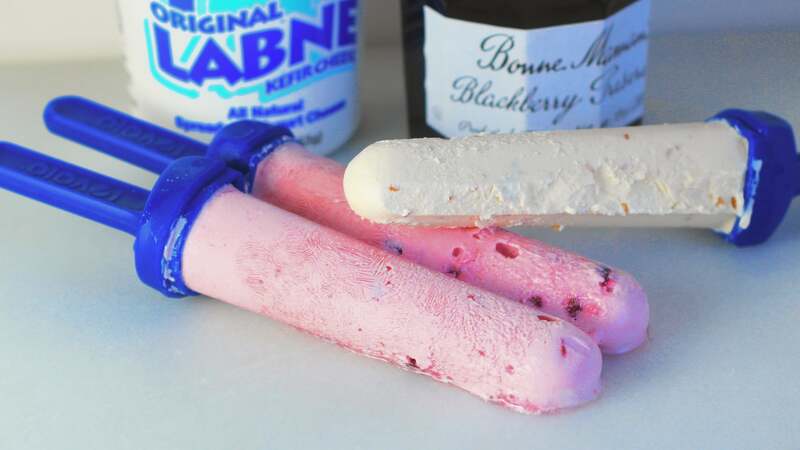 Invented as a way to trick children into thinking they are eating "dessert," these icy sticks of fruit and yogurt rarely achieve the texture and flavour required to be considered "indulgent." This is all fixed, however, by swapping "regular" yogurt for the thicker, much more satisfying yogurt cheese. Labneh is a strained yogurt cheese that is the best of all dairy universes. If you were to draw a Venn diagram with three circles labelled "sour cream," "cream cheese," and "tangy yogurt," labneh would be right in the center. It has so much flavour on its own, there's no need to add much else. Mix it with some extremely good fruit preserves and freeze it, and you have a yogurt pop with cheesecake tendencies. The chopstick helps the mixture flow. Add everything to a mixing bowl and stir to combine. Give it a taste and add more mix-ins of honey if you like. 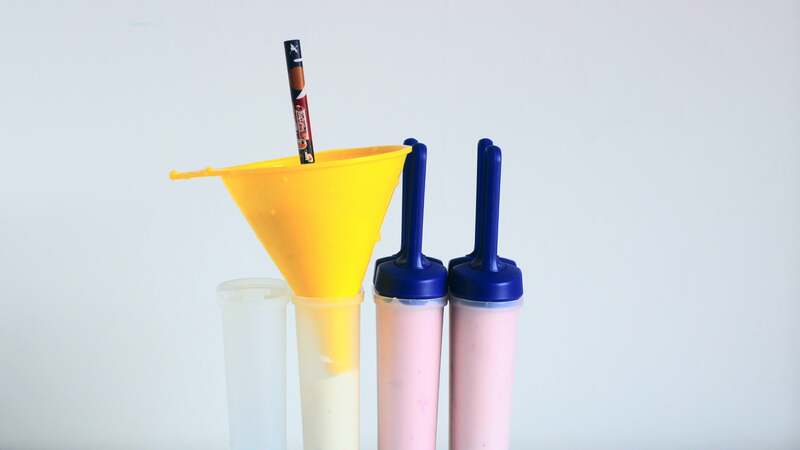 Transfer the mixture to popsicle molds, using a funnel and chopstick if needed, and freeze overnight. Run the mold under hot water to help release the pops (if needed) and enjoy the creamiest, tangiest yogurt-based dessert you ever did taste.